In 2012 the attempt by the government to Quebec to introduce a 75% fee hike was defeated by the organisation of a mass student strike that lasted over 6 months. That fee increase was part of the global process of imposing the privatisation and commodification of education. Since the victory, organisers of the strike have been being doing speaking tours to aid the process whereby "youth and students everywhere are becoming increasingly conscious of the need to organize as a means to defend education as a social right". In September this tour reaches Ireland where we need to hear how a sustained and militant student movement that can win is built. Last night, just after midnight a cowardly attack by over 15 members of Golden Dawn resulted in the murder of Pavlos Fyssas, an anti-fascist, left militant and hip-hop artist also known by his rap name Killah P.
Athens which is already in the grip of a public sector general strike, is in turmoil with Greek anti-fascists vowing vengence. Despite the murderer, reportedly a member of Golden Dawn, being arrested at the scene, knife in hand, the Greek neo-nazi party denied any involvement in what was clearly a pre-meditated ambush by a paramilitary uniformed mob. Like the fading sun of the Summer, there is now little time left to enjoy the last days of Eurostasis we have been enveloped in of late. The relative calm that descended on the Eurocrisis, with the brief exception of the Cyrpus panic in March, is coming to an end with the German elections this coming Sunday. Join the Abortion Rights Campaign on September 28th at 2 pm at the Garden of Remembrance to March for Choice along with millions of people across the world who will participate in the Global Day of Action for Safe and Legal Abortion! 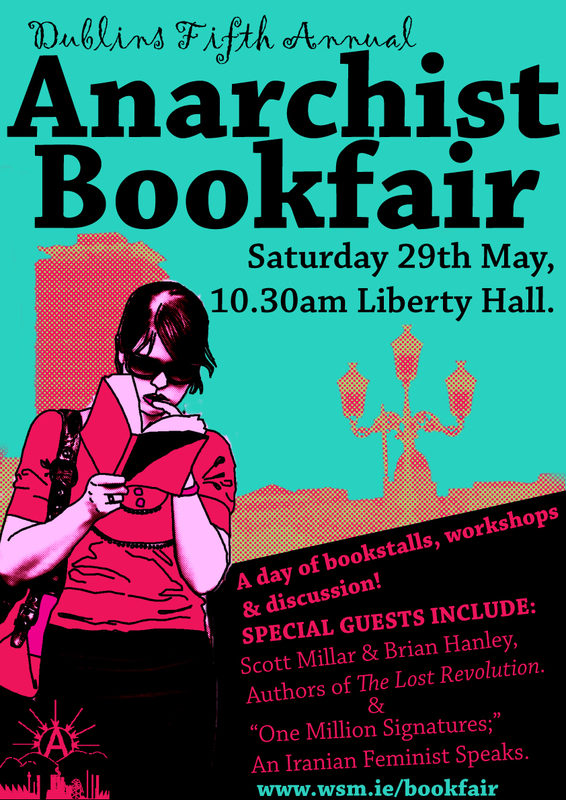 Join us at the 6th Annual Belfast Anarchist Bookfair with talks such as Social Housing - Co-operative Alternatives, Transitory Economics, Anarchists and the Abortion Struggle in Ireland. 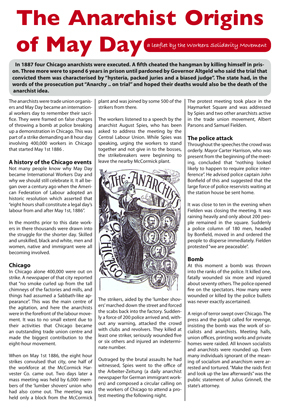 Stalls include Abortion Rights Campaign, Anarchist Studies, Anti-Fascist Action and a WSM Stall.